AESSEAL®, the world largest homogeneous mechanical seal manufacturer is celebrating its 40th anniversary with a promise to continue investing and innovating. The multi award winning, Rotherham-based company, which designs and makes mechanical seals and support systems for a wide range of global industries including oil and gas, food, water, mining and pharmaceuticals, has grown from a small distribution business based in Sheffield to a £180m+ turnover business employing more than 1,800 people across the world. Under founder and managing director Chris Rea, the company has recorded near constant growth over the four decades, investing in wide-ranging innovation including the development of its modular range of seals and processes that ensures customers receive the same product no matter where they are in the world. In addition, the business has been lauded for its community work, extensive apprenticeship programme and education outreach – which runs from primary schools right through to doctorate level. 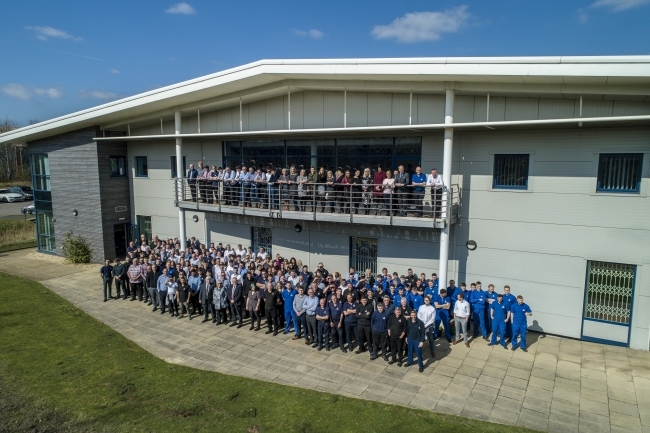 By 1983 AESSEAL® built its first manufacturing site in Rotherham. Over the following years, the mechanical seal range expanded, turnover grew to £2million and the company received the first of its 13 Queen’s Awards. Export sales grew, overseas offices were opened, and turnover increased year on year.